The cause of the disaster was determined to be negligence on the part of the substitute engineer, possibly for letting excessive steam build up during the stop for engine trouble earlier that night. Howland, S. A. 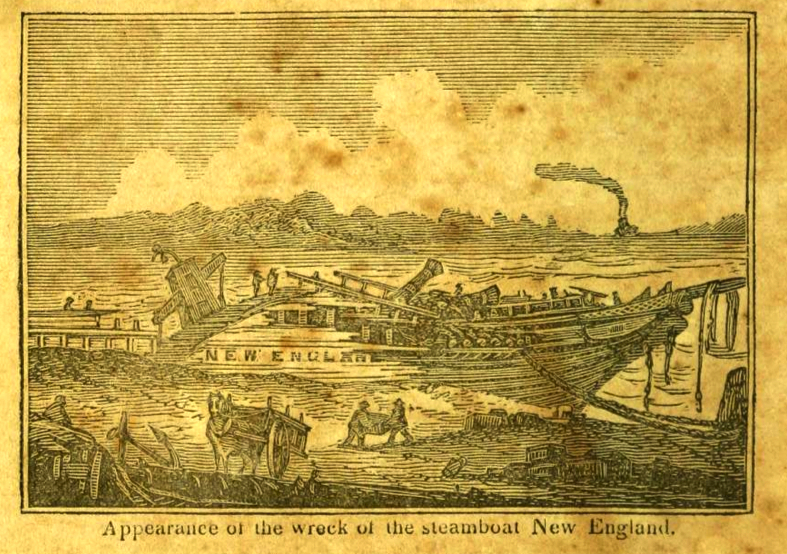 “Explosion of the New England.” In Steamboat Disasters and Railroad Accidents in the United States. Worcester, MA: Warren Lazell, 1846. Link.